Concert Hall Quality Tunings Without the Concert Hall Price! We combine state of the art technology with the expertise of timeless trade efforts, ensuring an accurate, artistic tuning in every visit. 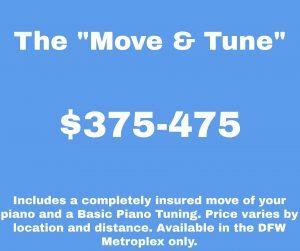 Serving Tarrant, Dallas, Denton, and Collin Counties (additional charge for locations over 40 miles from DFW Airport). 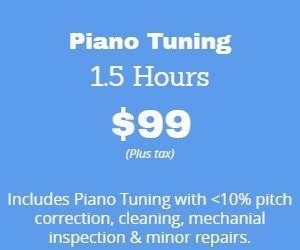 Trust the piano tuning company with the most 5-STAR reviews on Yelp! and our google reviews! Why use us? Because we DO NOT subcontract our tuning technicians. Our owner, Thomas Woods, conducts all of the in-home tunings himself, guaranteeing that you'll get the same level of service you've read about online. While we have a team ready for repair, restoration, moving, and anything else piano, you'll always be guaranteed concert hall quality tunings without the concert hall price. Looking for that perfect gift? Click here for gift certificate options! Check out our featured article in Voyage Dallas! We appreciate your patience in scheduling your personalized service. 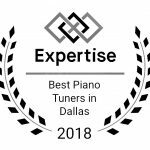 Many of our clients have contracted other "tuners" from online sources like craigslist and online bidding websites, and have inadvertently hired amateurs with no real knowledge of how to properly tune a piano. Trust us, it is definitely worth the small wait to get your piano in shape. Don't go with the tuner who is available tomorrow. There's a reason why that's the case! While many technicians start at $150 a visit, our services start at just $99 for a basic tuning. 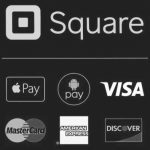 All of our prices are transparent on this site, so no need to worry about the ever-present chance of “upselling” or “extra charge to do that” line. Simple, honest, fair, real prices – that’s why we are #1 in DFW. Service by a professional technician with a musical background and training to have your piano sounding it’s best. We aren’t the “other guys” trying to finish fast to make the next appointment. One at a time, each piano getting 100% attention and care. Our team can also rebuild, restore, and move your piano. If you aren’t happy with the service we provide, we will make it right or you pay nothing. That’s right. If you don’t love the way the piano is tuned up, there is no charge for the visit. Find another company in the area with that promise! 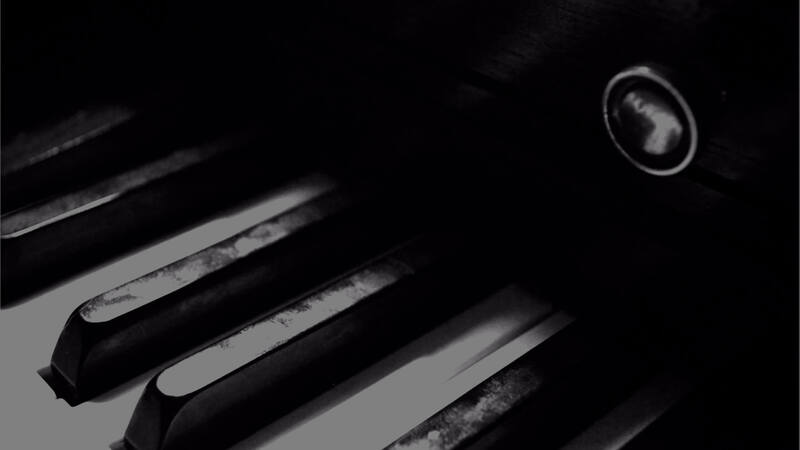 We use state of the art technology as our base tuning to ensure your piano is tuned perfectly under all circumstances. Our experience does the rest! Trust us, your piano will have never sounded this good. 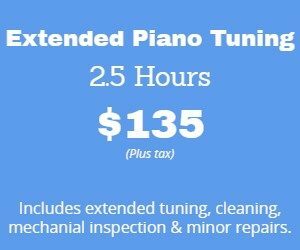 This service is ideal if your piano has been tuned in the last 6-12 months and hasn’t dropped more than 10 cents below pitch (A=440). This service can also be used if you simply want a piano in tune with itself, or are dealing with a piano 40 years or older. 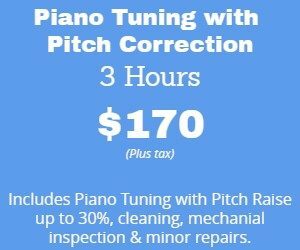 This service is ideal if your piano hasn’t been tuned in the last 6-12 months and hasn’t dropped more than 10 cents below pitch (A=440) around the mid-range of the piano. This service brings the most vulnerable sections of the piano (bass and upper treble) up to pitch so that a fine tuning can occur, leaving the piano perfectly in tune with itself. If a piano has gone without tuning for an extended period, its pitch may have dropped far below A- 440. This means that each of its approximately 220 strings needs to be tightened considerably, adding tremendous additional tension to the piano’s structure. Only then can the piano be accurately tuned. In other words, accurate tuning is only possible when all strings are so close to their proper tension that only small further changes are needed during tuning. The ultimate tuneup! 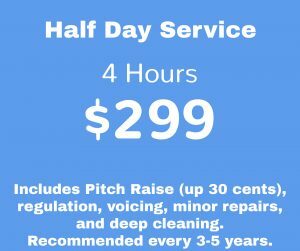 Full pitch raise, regulation, minor repairs, cleaning, voicing – Recommended every 3-5 years. Essentially, this makes your piano play and sound like new again. Normal playing conditions take a toll on a piano. This service takes into consideration all of the above elements and restores the piano’s original sound, feel, and beauty. We understand that your piano is the investment of a lifetime. those who specialize in moving pianos and organs exclusively. For experience you can trust, contact us today! The purpose of piano appraisal is to determine a fair price for a piano. Fair market value should not be confused with a piano’s worth as a musical instrument, or even it’s actual quality. 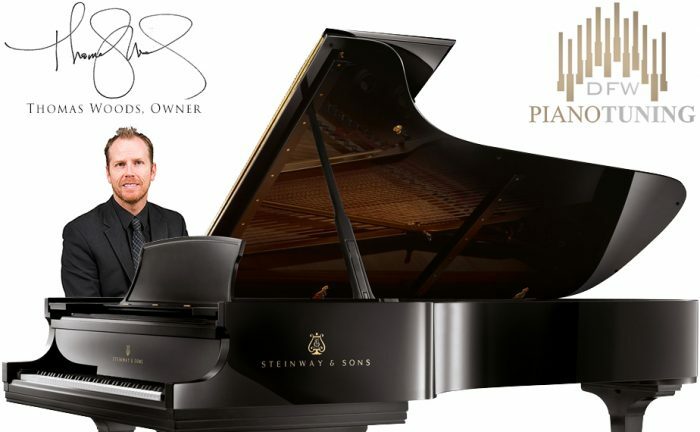 While it is true that a better piano in better condition will have a higher market value compared to the same model built the same year but in poor condition, basic economic forces will ultimately determine a piano’s reasonable selling price. An antique piano in near-original condition may be a finer musical instrument than a brand-new one, but its market value may be only a fraction of the price of a new piano. Just like anything, pianos can run into mechanical issues, often at the worst possible time. 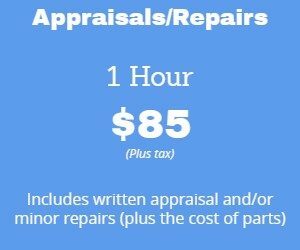 For $85 (hourly), minor repair work can be completed and leave your piano in excellent playing condition. These repairs typically include sticky keys, pedal issues, minor regulations, etc. Most minor services can be done within the hour window. Price does not include cost of parts (if applicable). *Please note, we are limited in the number of clients we can provide service to in any given week due to demand. If you cannot find an appointment in our booking system within the next 7 days, please call and we will do our best to find an appointment time that is not based on our system’s automated calendar that can provide an earlier scheduling date and time. Thomas arrived on time, as promised, and did a wonderful job. Professional, knowledgeable, and very open to point out some minor issues with the piano that will be fixed in the future. My nephew loved him too! They played a few duets before he left. I’m pretty sure we’ve found our permanent piano tuner. Thanks Thomas! Thomas is one of the most trustworthy, professional people I know. If you need your piano tuned, he’s the guy! 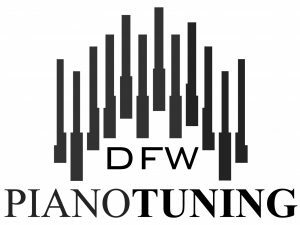 I got my grand piano tuned by Thomas at DFW Piano Tuning after I moved houses. He was so professional and easy to work with. My piano sounds so good that I am actually enjoying practicing again. Who knew?! I have recommended this company to my friends and they’ve all had the same great experience. I absolutely loved Thomas Woods. He was meticulous and thorough. My vintage upright sounds better than it has in many years. I will definitely call him the next time. And what a great pianist! It was a joy just to hear him play after he finished tuning.